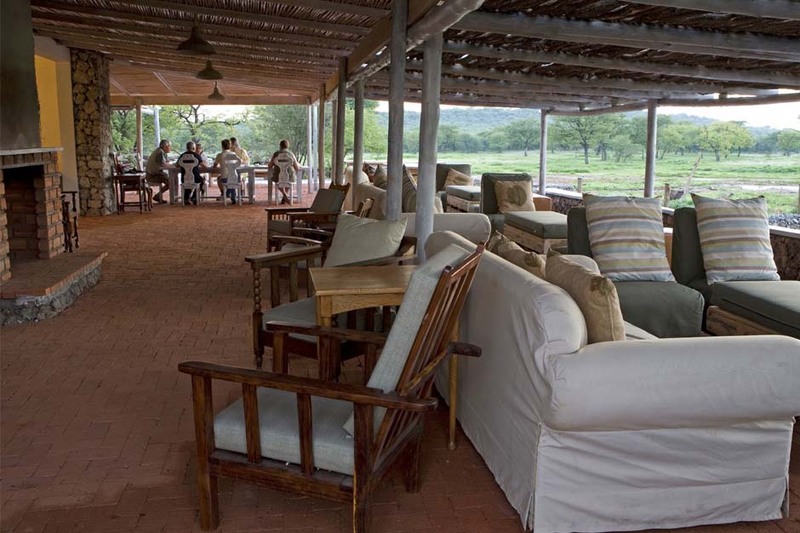 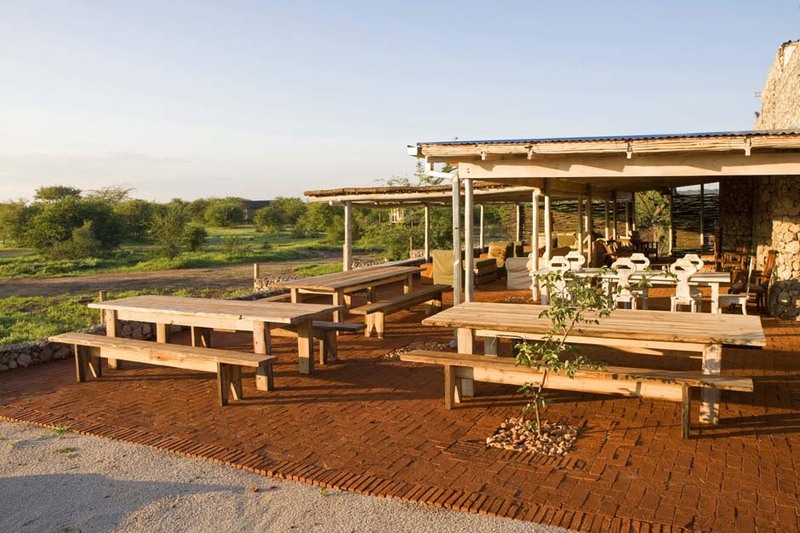 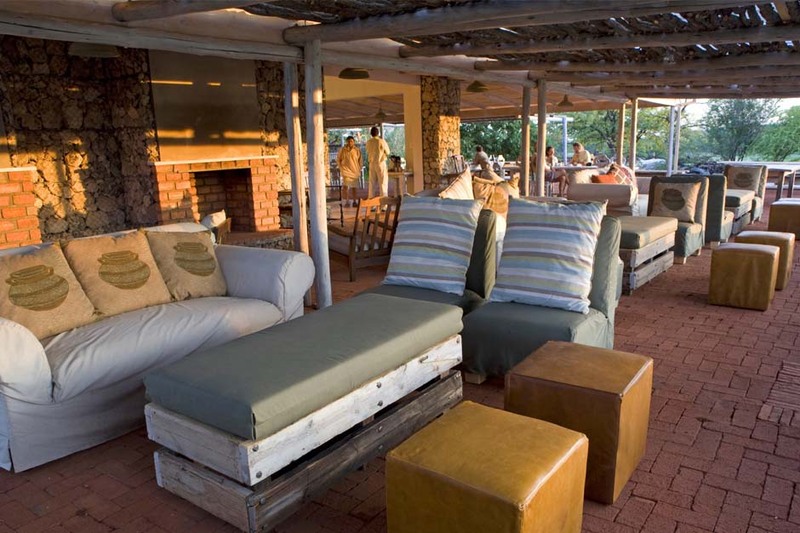 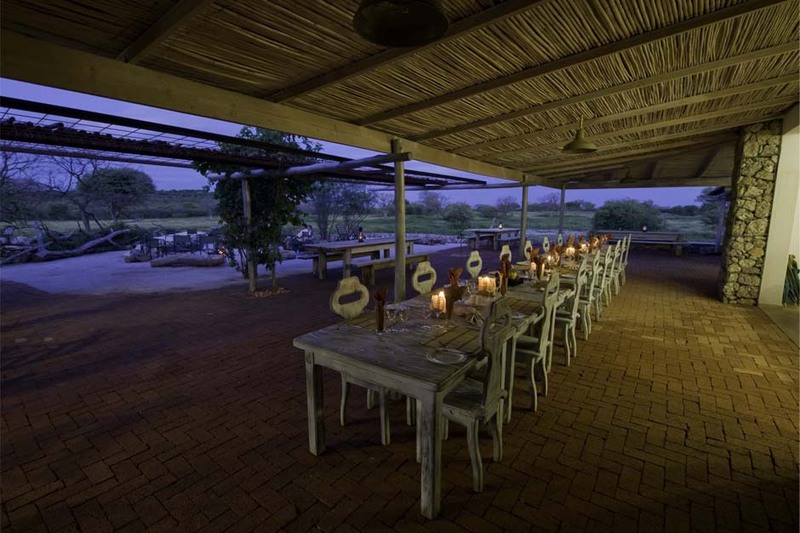 Built as a new 40-bed, mid-level tented camp for tourists, the project re-purposed not only a derelict 1960’s farmhouse, but a considerable amount of components left over from the renovations of nearby Ongava Lodge. 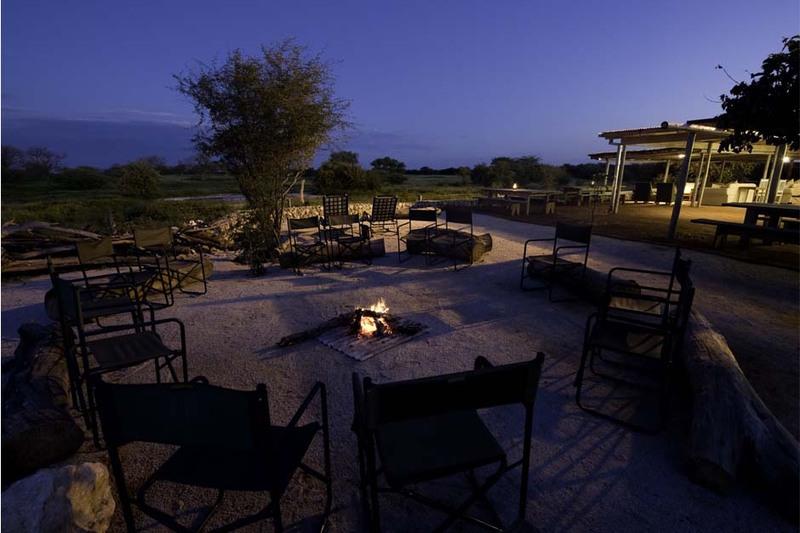 Limestone gabions clad the existing structures to transform the character and provide ample thermal mass for cooling, aided by a generous wrap-around veranda overlooking the waterhole and fire-circle. 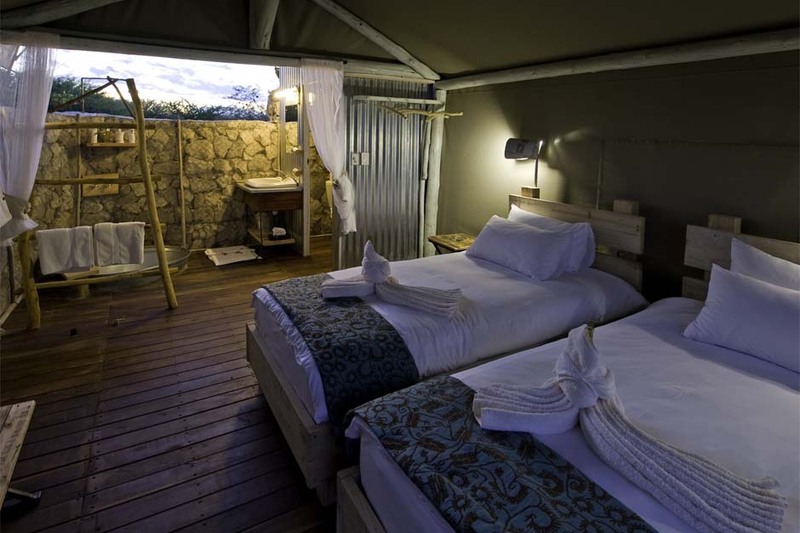 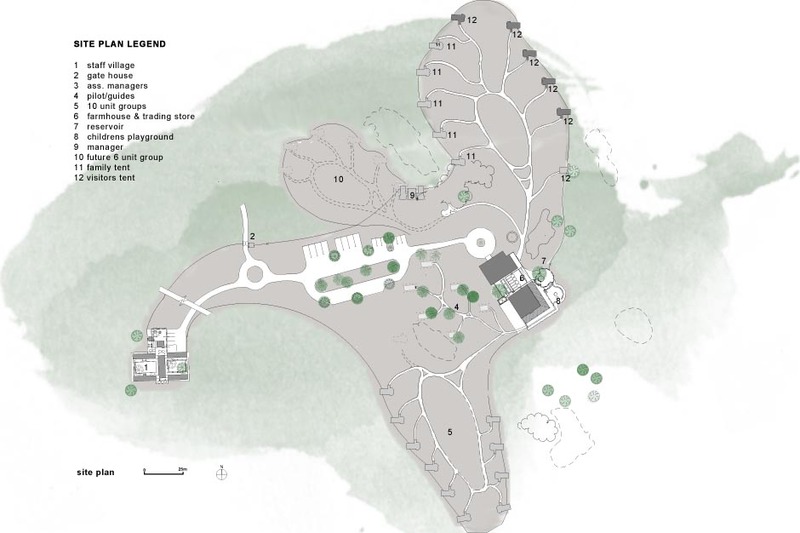 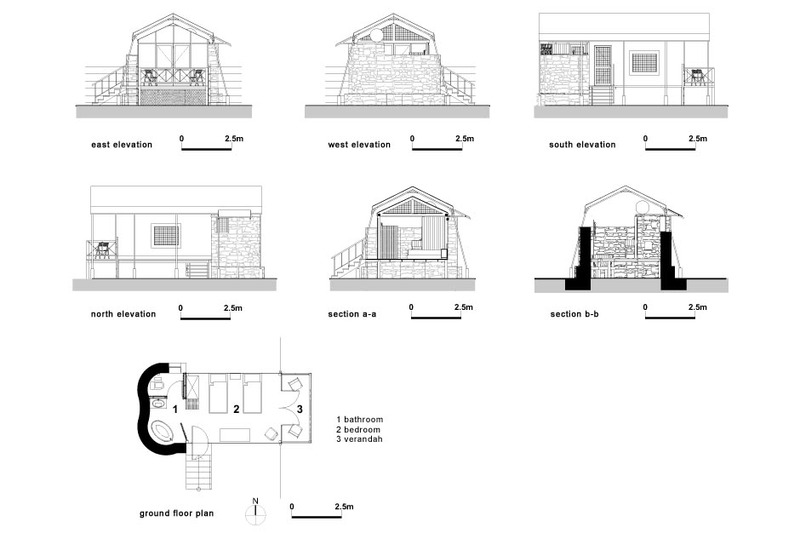 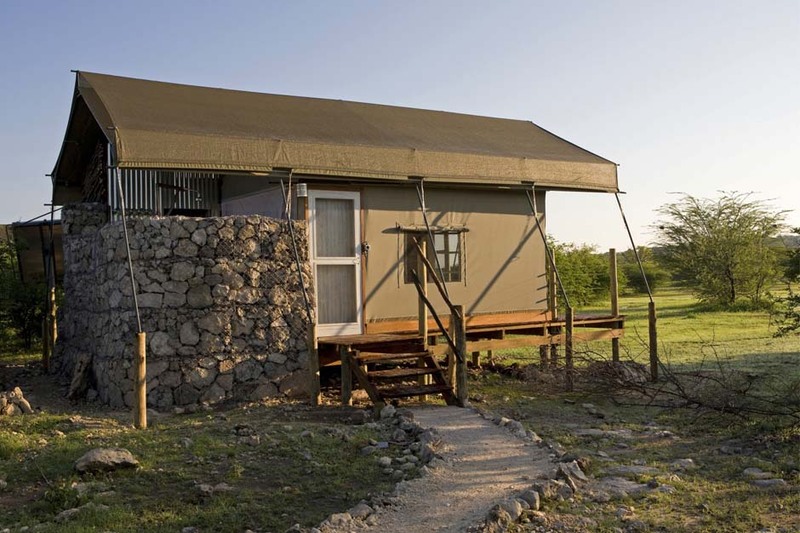 The semi-open bathrooms for the tents were also built with limestone gabions, extending from the tents erected on raised prosopis timber decks to obtain a view over the landscape. 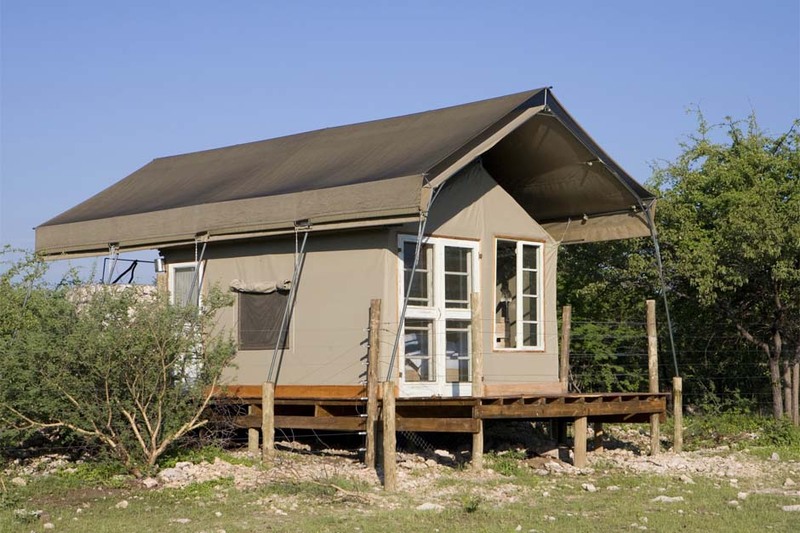 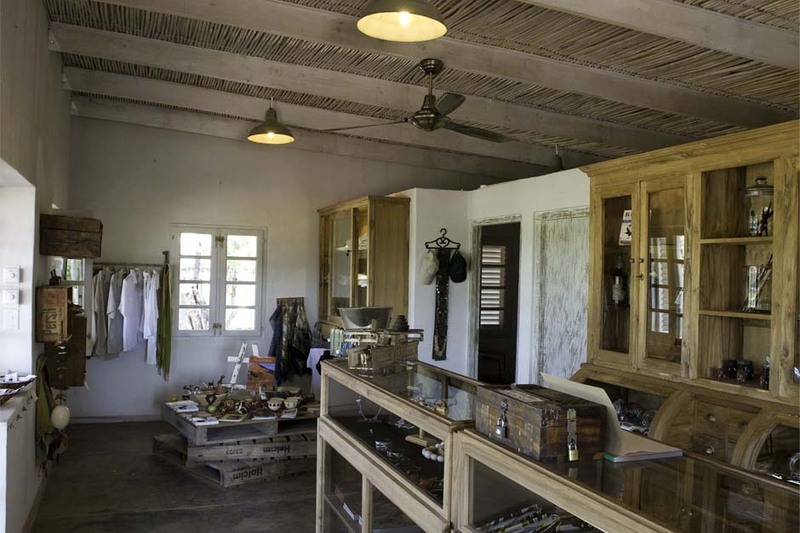 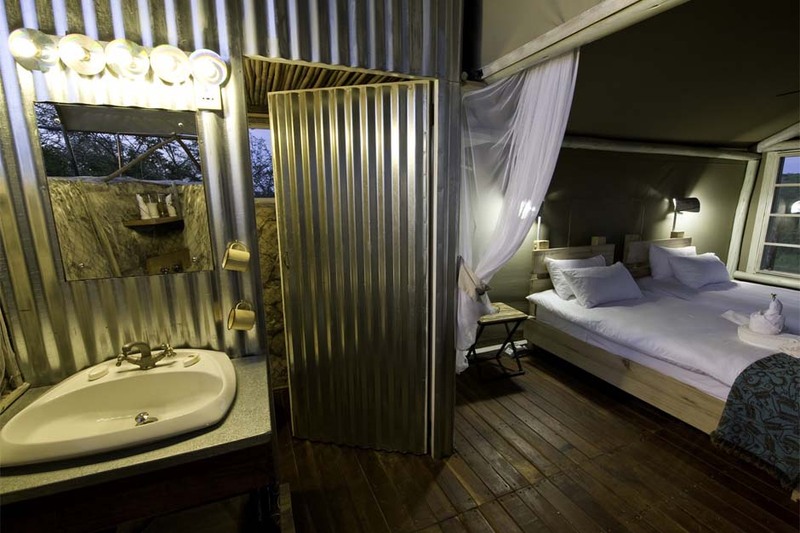 The interiors are furnished with used doors and frames, used sanitary fittings, scaffold-plank beds and purpose-made galvanised light-fittings to create a mining camp/ pioneer style.